I saw this product awhile back and was extremely curious about it. I had tried cultured coconut milk in the past, but my problem with it was the coconut aftertaste that took over. The vanilla flavour with the coconut did not mix too well, and was way too strong. Since I loved yogurt back when I ate dairy, I was looking for something that would really replace it, without some kind of aftertaste. Well, I think I found it. 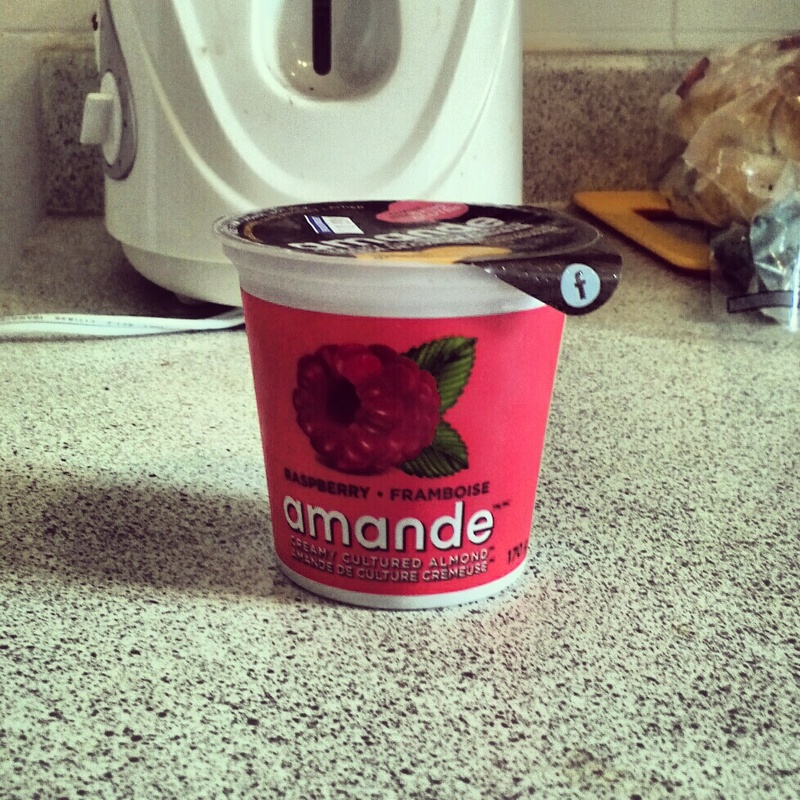 Amande (French for almond) is a company that produces cultured almond milk. If you take a look at their website, they have a few flavours. I loved raspberry yogurt so I saw raspberry-flavoured cultured almond milk and decided to give it a try. The great thing with Amande is that it’s (obviously) vegan, dairy free, gluten free, no GMO, fruit juice sweetened and has 6 live active cultures (Lactobacillus acidophilus, L. bulgaricus, L. rhamnosus, L. casei, Streptococcus thermophilus, and Bifidobacterium bifidum). My verdict? Absolutely delicious! Since it is sweetened with fruit juice, it wasn’t overly sweet, which I really enjoyed. It had a little bit of a nutty taste, which is to be expected since it IS cultured almond milk, after all – however, it was not overpowering like the cultured coconut milk I had. I am very curious to try the other flavours listed on their website, such as blueberry, peach, and plain. I will be buying it again for sure! 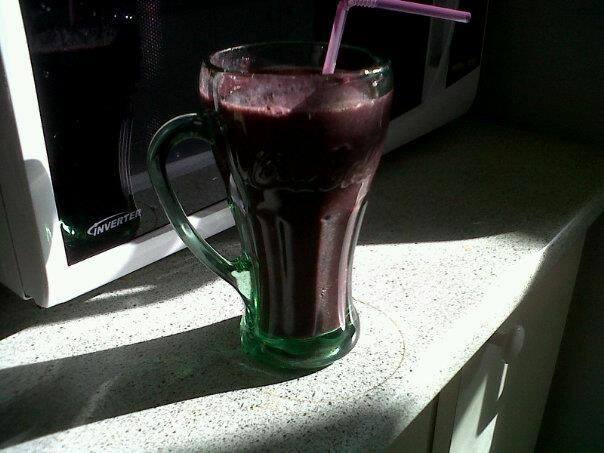 If mornings aren’t your kind of thing and you like to have a quick breakfast, you probably like smoothies, like me. They’re super easy to make, and they’re done in less than 5 minutes. Put in blender, mix, serve, enjoy. It yielded a big drink, definitely meal-sized. You can probably adjust portions if you want something not as big. 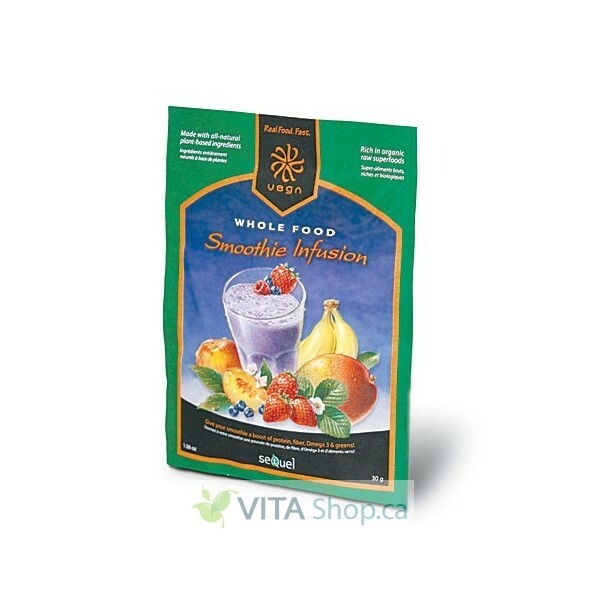 It is a greenish powder, made from plant-based protein, flaxseed and greens (spirulina, wheat grass, and the list goes on). I didn’t really notice the taste once mixed in my smoothie. I will be making more smoothies and will also review them.